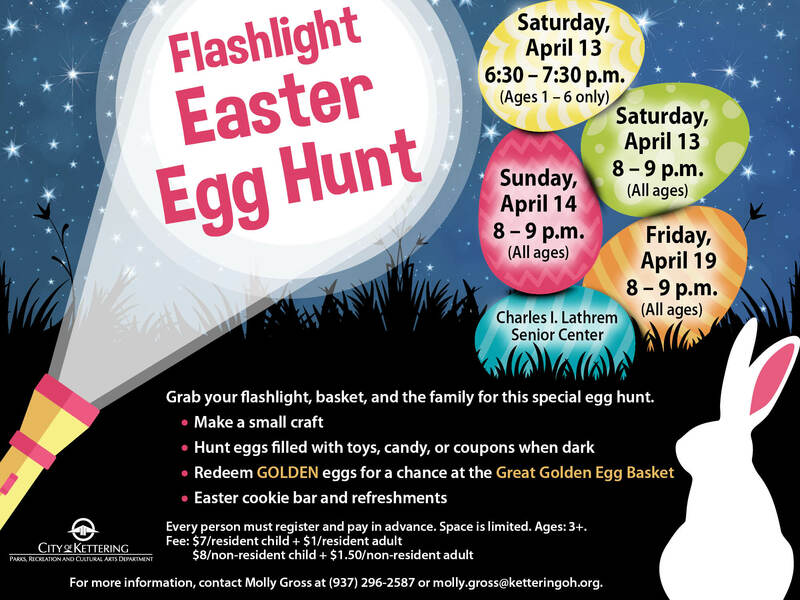 Grab your flashlight, basket, and the family for this special egg hunt. We’ll start the evening with a small craft. As soon as it is dark, the hunt will begin. Eggs are filled with toys, candy, or coupons. Join us back inside after the hunt is over to enjoy an Easter cookie bar and refreshments. Plus, golden eggs will have tickets to be redeemed for a chance to win the GOLDEN EGG Basket raffle while we enjoy our cookies and drinks. An adult must accompany child(ren). Every person must register and pay in advance. Space is limited.